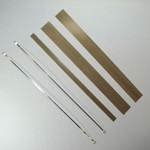 I-bar shrink wrap systems professionally shrink wrap packages for a very affordable price. This I-bar sealer has an easy three step operation and does not require any warm up time. This I-bar sealer enhances the appearance and value of the product by protecting it from any dust, dirt, pilfering, moisture, and handling. This heavy duty sealer is excellent for materials such as polypropylene (P.P. ), polyvinyl chloride (P.V.C. ), and polyethylene (P.E.). 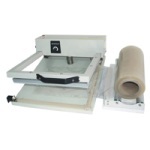 The I-bar system comes equipped with a bar sealer (13”, 18”, 24”, 32” lengths), timer, heat gun and holder, film rack, free 500 ft. roll of centerfold 75 gauge shrink film, outlet plug and parts kit.